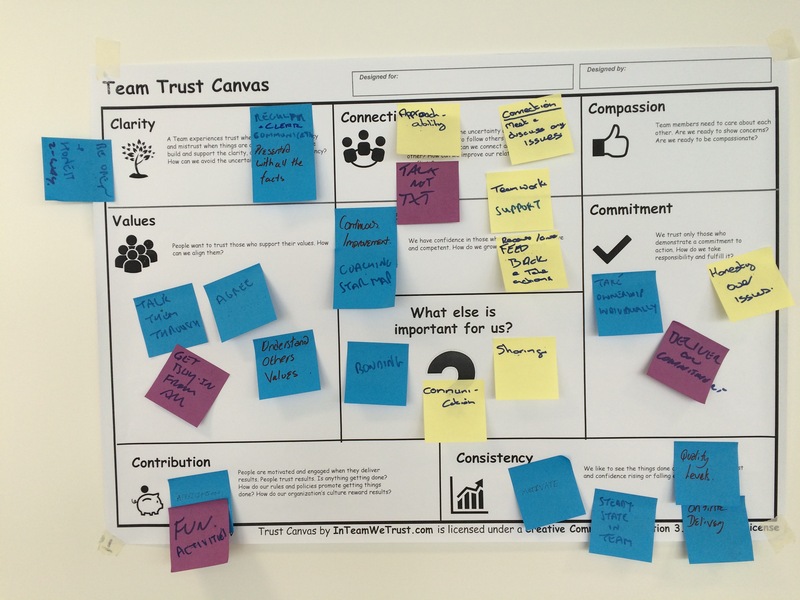 The One-Page Method for Developing Your Team Trust in Amsterdam – "In Team We Trust"
In this workshop we are going to foster your team trust with the Team Trust Canvas. During this workshop, participants will get to understand the different components of the Canvas. They will also learn how to “measure” trust, and to create actions that gain trustworthiness. Foremost we will put a focus on trust experiments forming your assumptions and discuss planning actions. This will allow participants to take the most out of the workshop. Participants should expect that by the end of the workshop, they would have a draft of their team trust model, thus creating a solid foundation for their stable team trust climate. How do we know we’re making an impact. Grow trust in your team. Previous Entry:How to Work Together Anywhere?